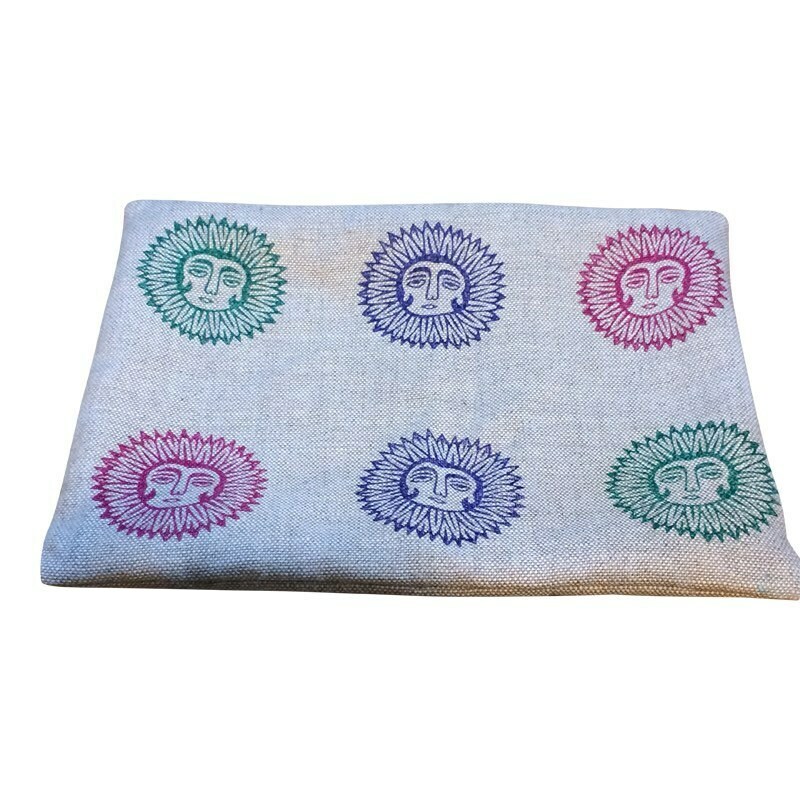 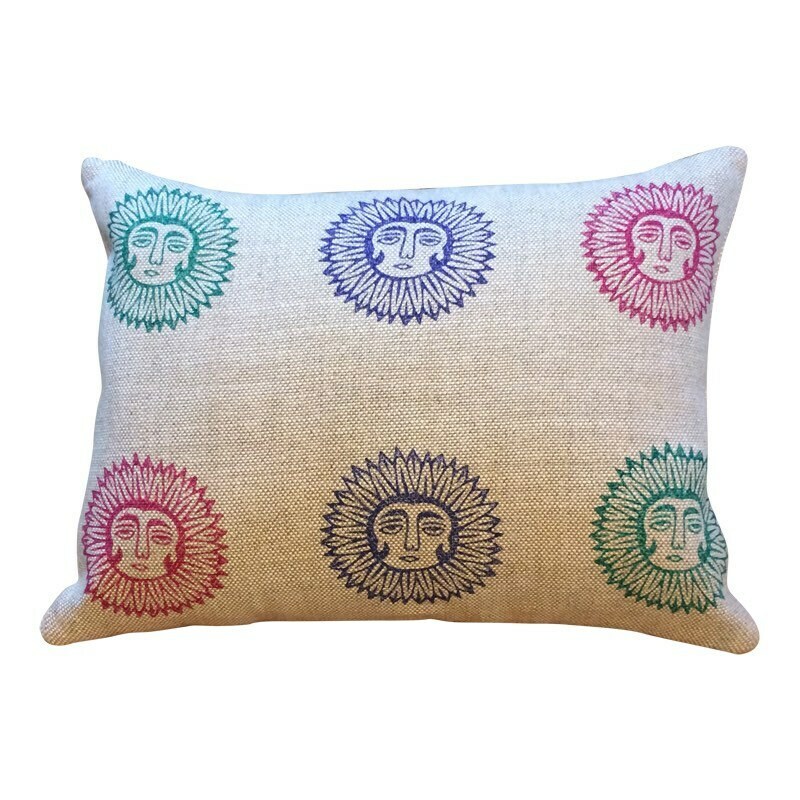 pillow cover has been hand block printed using wooden blocks with lady sun design in 3 different colors, all the colours fabric inks- an environmentally friendly product! 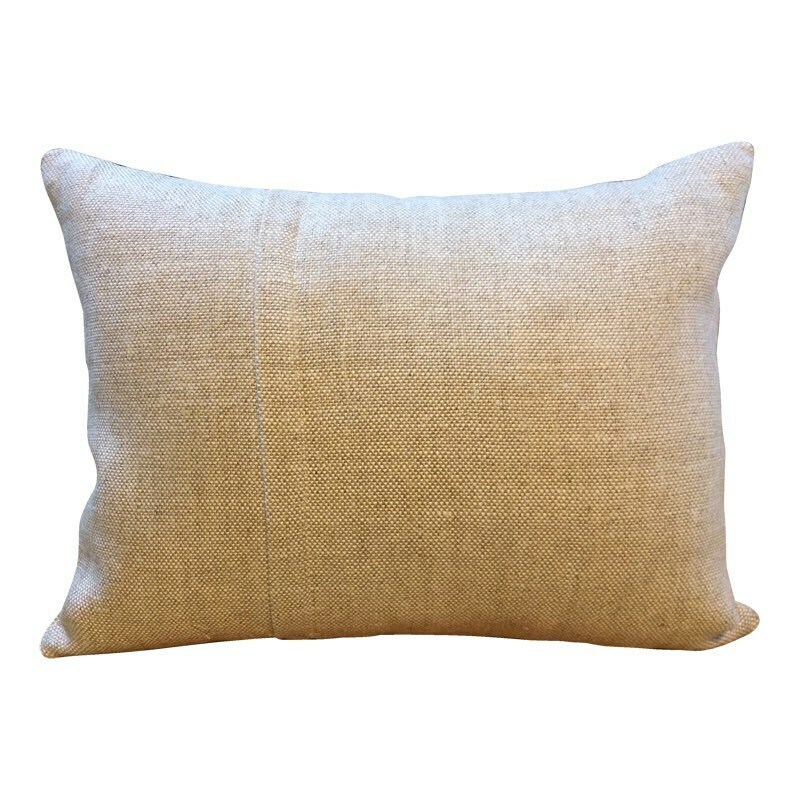 The pillow cover fabric is beautiful heavy weight Irish linen (480grams per metre) in natural colour. 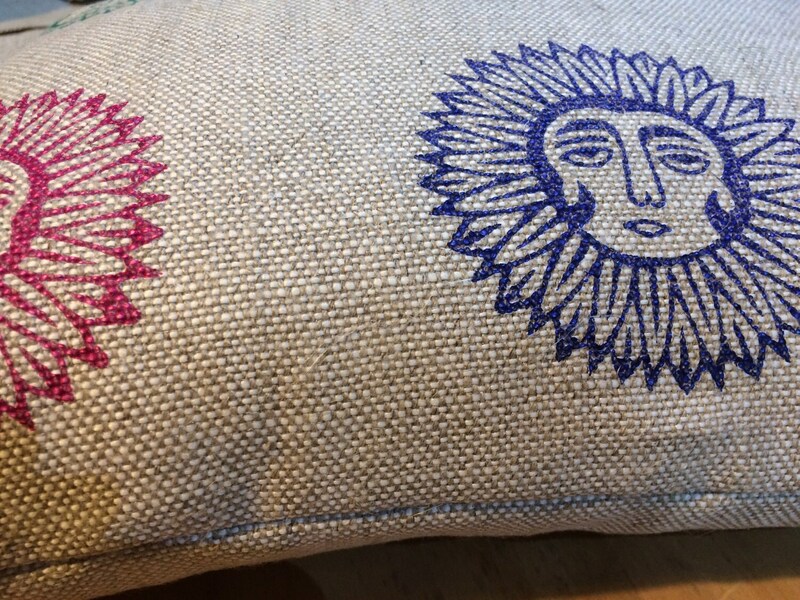 • Please note: All the jobs from cutting the material, mixing the colours to printing and sewing done by me at my workshop so there could be some imperfections and this because of the nature of handmade.